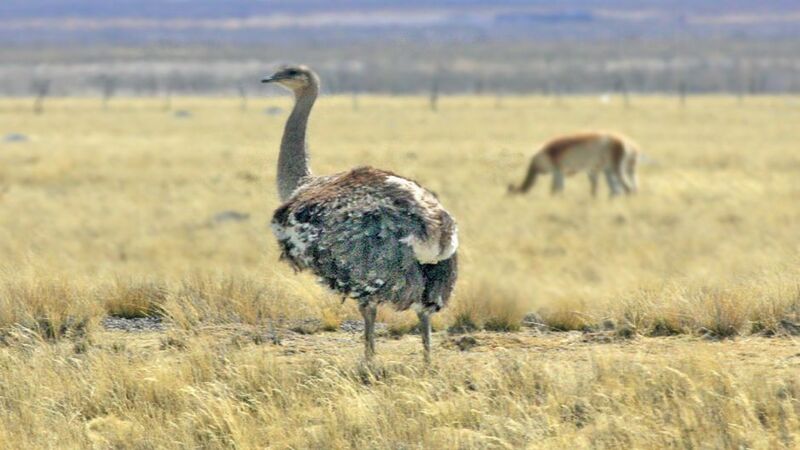 Local names: ñandú de la puna, suri puneño, suri, suri del norte, ostrich cordillerano, ñandú del norte, andú de la Puna, ñandú petiso de la Puna, ñandú petizo de la cordillera, ñandú cordillerano. 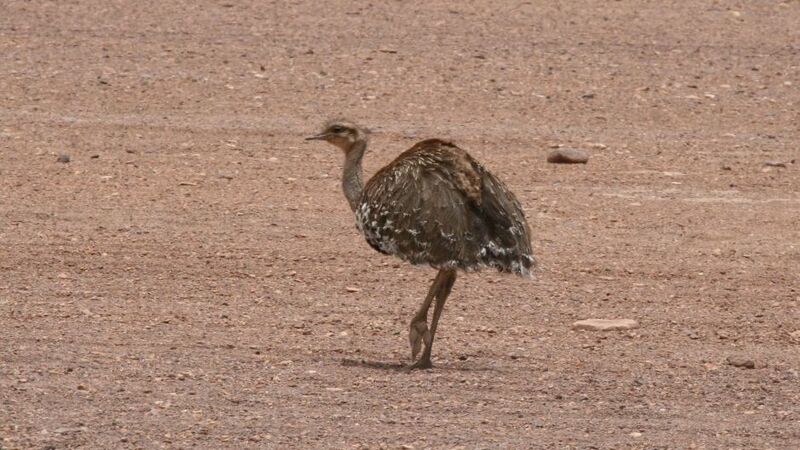 The puna ñandu is one of the 3 subspecies that make up the Rhea pennata species, huge and heavy non-flying birds exclusive of South America. 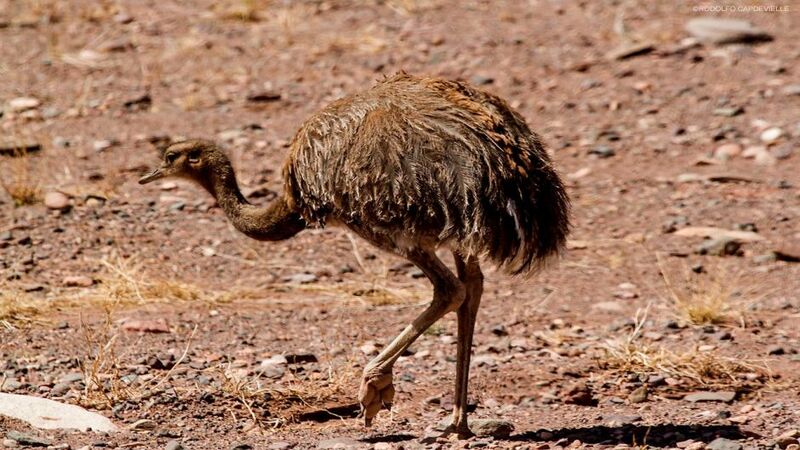 It inhabits bofedales and desert and shrub steppes in plains and hills of the plateaus of the Chilean sector of the Andean highlands, a region located in the central area of ? ?the Andes mountain range, from the border with Peru in the north (Parinacota) to the area of Alto Huayco, in the Vallenar mountain range. 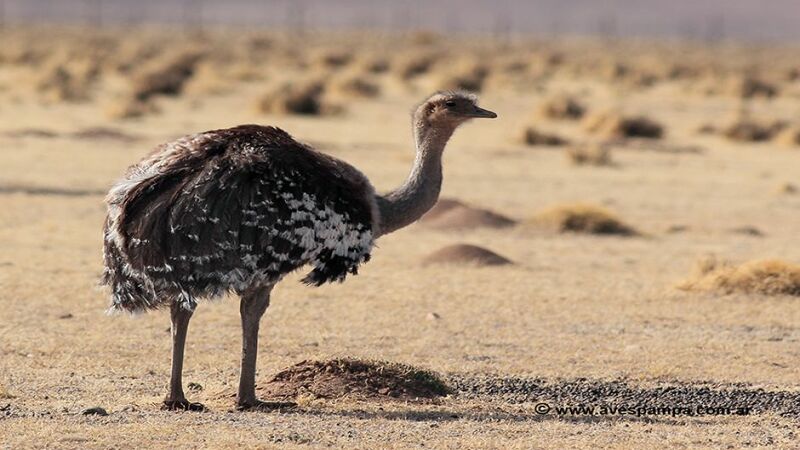 It is a bird of about 90 to 100 cm in length (measured between the tip of the beak and the tip of the tail), with weights ranging from 15 to 28.6 kg. It has a small head, like its beak, which is brown-horny, which measures between 6.2 to 9.2 cm. 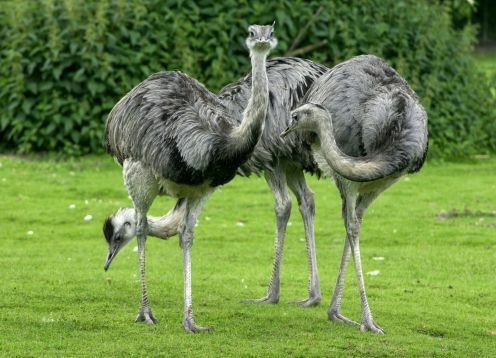 As a counterpart, its neck and legs are long, the latter allow you to reach speeds in the race of up to 60 km / h. The upper part of its tarsus is feathered. Its coloration is gray brown to brown with white speckling. The coloration is identical in both sexes, but the females are slightly smaller. The pups are born with a yellowish white color and acquire the speckles of adults per year; They are sexually mature at 2 years of age.